Professor Gulshan Dietl is an ICSSR Senior Fellow affiliated to the IDSA. 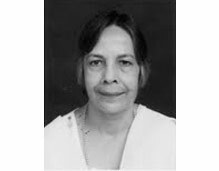 She retired as a Professor at the School of International Studies, Jawaharlal Nehru University, where she also served as the Director of the Gulf Studies Programme. She was a Fulbright Scholar-in-Residence at the Mount Saint Mary College, Newburgh, New York (1993-94), a Guest Research Fellow at the Copenhagen Peace Research Institute (1998-99), a Visiting Professor at the University of Kashmir (2004), a Visiting Professor at the Fondation de la Maison des Sciences de l’Homme, Paris (2008), a Visiting Professor at the University of Southern Denmark (2010) and a Visiting Professor at Jamia Millia Islamia, New Delhi (2012-13). Her areas of teaching, research and research guidance are: 1. Theory and History of International Relations; and 2. Domestic Developments, Foreign Policies and Security Issues in the Gulf and West Asia with special reference to Democratization, Political Islam and Energy. Her publications include The Dulles Era: America Enters West Asia (Lancer International, New Delhi, 1985), Through Two Wars and Beyond: A Study of the Gulf Cooperation Council (Lancer Books, New Delhi, 1991), Saudi Arabia: People, Politics and Policies (National Book Trust, New Delhi, 2006), Contemporary Saudi Arabia and the Emerging Indo-Saudi Relations ( Shipra Publications, New Delhi, 2007; Co-edited), and Democracy and Democratization in the Gulf (Shipra Publications, 2010; Edited). She has contributed book-chapters and articles which have appeared in International Studies, Strategic Analyses, Pacific and Asian Journal of Energy, The Hindu, Times of India, Iranian Journal of International Affairs, The South, Arabia, The Middle East, The Middle East International, Orient, Journal of South Asian and Middle Eastern Studies, Iranian Review of Foreign Affairs, India Quarterly, India International Centre Quarterly, Economic and Political Weekly, Mainstream, the COPRI Working Paper Series, the Gulf Studies Programme Occasional Papers Series among others.